CITY of Belmont chief executive John Christie has been asked to look into the definition of parkland at Faulkner Park. Deputy Mayor Robert Rossi moved an amendment for Mr Christie to commence investigations as part of the Community Placemaking Strategy 2018-23. Faulkner Park is zoned as urban and contains the Civic Centre, Ruth Faulkner Public Library, Belmont Oasis Leisure Centre, Volcano Playground and Skate Park. Cr Rossi said although it looked like a park it was “not really a park” because of its zoning. “In the future there will be more infill around the town centre but parks are vital and people don’t always realise the value of them,” he said. “No one in their right mind would look to impact the park now but you don’t know what can happen in 20 to 30 years time so the idea here to ensure its protection. “I won’t pre-empt the decision but I think it needs to remain as public open space but I’m only one voice of nine on the council. 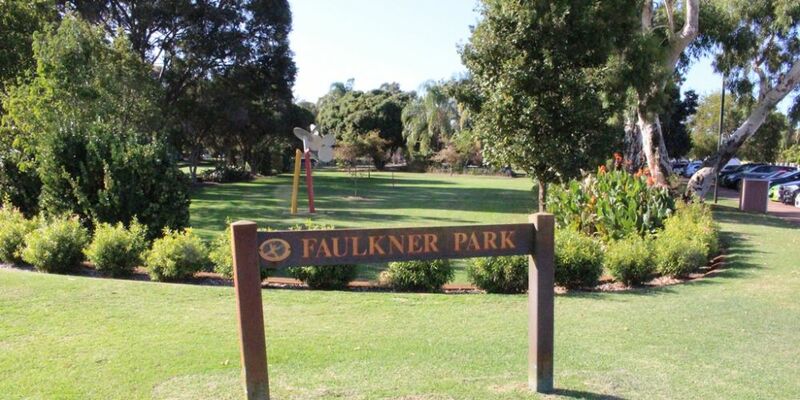 Mr Christie said the Faulkner Civic Precinct Master Plan, which was adopted in November 2015, was intended to maximise the retention of existing green space. “Council adopted the master plan as an aspirational guide for future development of the precinct,” he said. “If required, council may resolve to change the master plan to respond to the future needs of the community. Mr Christie said the closure of Progress Way had previously been considered as an opportunity to provide improved pedestrian access and flow through the precinct, and increase green space for community events.